Houghton Mifflin Harcourt, 9780544610538, 848pp. 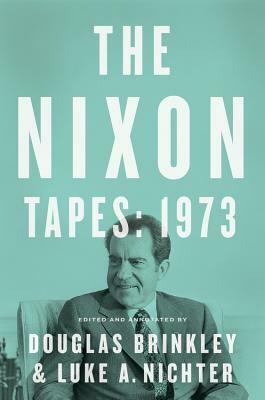 With Nixon’s dominating 1972 reelection receding into the background and the Watergate scandal looming, The Nixon Tapes: 1973 reveals the inside story of the tragedy that followed the triumph. DOUGLAS BRINKLEY is a professor of history at Rice University, CBS News Historian, and contributing editor of Vanity Fair. He is the author of seven New York Times Notable Books of the Year. His recent New York Times bestsellers include Cronkite, The Wilderness Warrior: Theodore Roosevelt and the Crusade for America, and The Reagan Diaries. LUKE NICHTER is an associate professor of history at Texas A&M University–Central Texas. He is a noted expert on the Nixon tapes as a result of his efforts to digitize the nearly 4,000 hours of recordings he makes available online as a public service, and he is the author of an ongoing petition before the District Court for the District of Columbia to open Watergate-related government records still sealed in the National Archives. Nichter's work has been reported on by the New York Times, the Washington Post, and the Associated Press.